Italo-Canadian dancer and choreographer Gioconda Barbuto is the 2015 McKnight International Choreographer. A dancer of explosive wit, subtle intelligence, and a fine sense of theatricality, Gioconda has distinguished herself throughout her career in an impressive number of works by choreographers such as George Balanchine, Nacho Duato, Michel Fokine, Christopher House, Jiri Kylián, Hans Van Manen, Ginette Laurin, James Kudelka, José Limon, Brian Macdonald, Mark Morris, Martino Müller, Ohad Naharin, Fernand Nault, Anthony Tudor, Robert Wilson and many others. She danced with the Minnesota Dance Theatre before becoming a soloist with Les Grand Ballets Canadiens de Montréal, where she danced for 16 years. In 1998 she was invited by Jiri Kylian to join Nederlands Dans Theater III in The Hague, Holland, with a group of high caliber dancers, all over the age of forty, and toured internationally with the company for eight years. Gioconda is featured in two of Jiri Kylian's award winning Films, Birth Day and Car Men. In 1996 she was nominated for the Kennedy Center Fellowship and was the recipient of the Clifford E. Lee choreography award. She is a recipient of several grants from the Canada Council and has created many of her own solo and group projects with many renowned dance artists. Gioconda’s choreography has been presented at Ballet BC, Ballet Jorgen, Banff Festival Ballet, Danse Cite, Tangente, L’Agora de la danse, Les Grands Ballets Canadiens, BJM Danse Montreal, Alberta Ballet, Minnesota Dance Theater, Northwest Dance Project, McKnight Fellowship SOLO Commission (for Abdo Sayegh Rodriguez), Bravo FACT, CBC Canada/Films Piche Ferrari, Ballet Kelowna, The Juilliard School, Arts Umbrella Dance Company, You Dance/National Ballet of Canada, Dutch National Ballet Academy, Nederlands Dans Theater Choreographic Workshop, and the National Circus School. More information on Gioconda Barbuto can be found on her website. 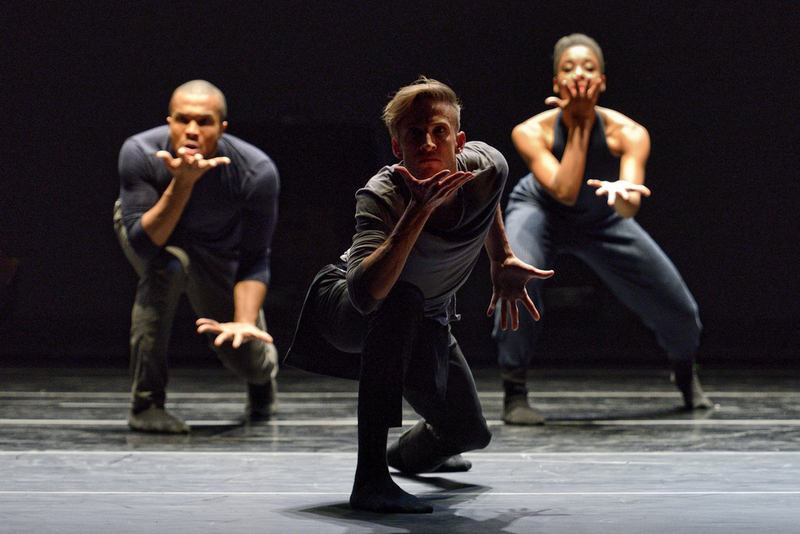 Photos of commissioned work "Footprint" courtesy of TU Dance and photographer Michael Slobodian.